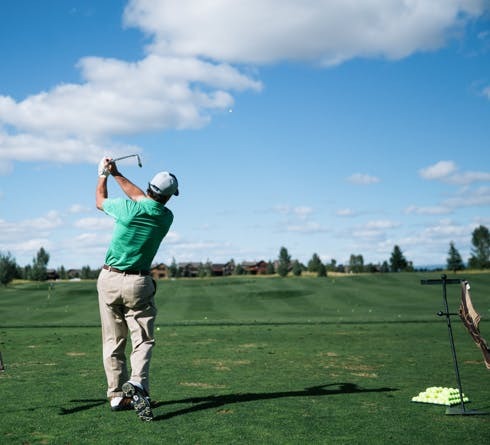 Bringing together a diverse blend of tradition and talent, the Headwaters Club at Teton Springs Resort is destined to become a world-class golf destination in the Rocky Mountain West. Nationally recognized by numerous golf and leisure magazines, the resort’s courses were designed to complement the area’s natural terrain. Rolling fairways, well bunkered greens, and spring fed lakes teaming with native trout promise memorable rounds for all. It’s not just a round of golf at the Headwaters Club; it’s an experience! 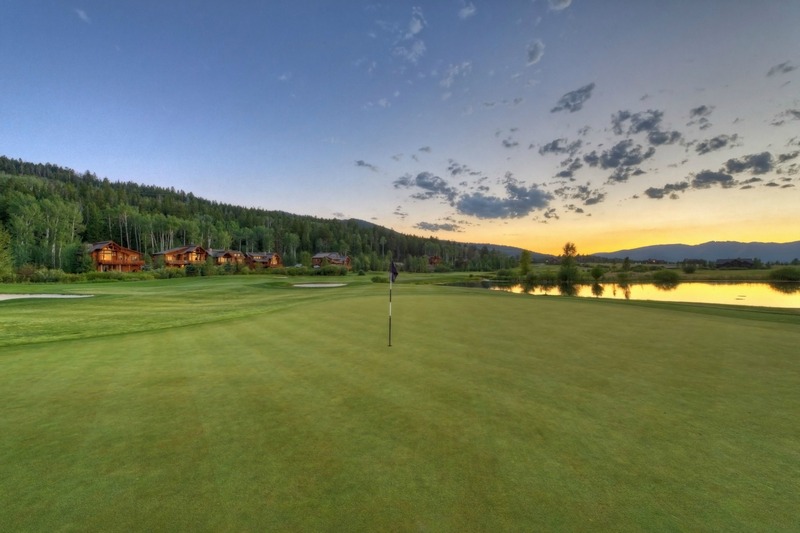 The Teton Springs Lodge & Spa, known for their golf resort packages, is located on the 18-hole Headwaters Golf Course. Headwaters also includes a 9-hole Par 3 course and a complete practice facility. Guests enjoying one of the many golf and hotel packages with accommodations in the lodge, or in one of the many luxury mountain log homes, are entitled to the many privileges and services normally reserved for the Club’s private members. The Headwaters course was designed in a special collaboration by golf legend Byron Nelson, PGA touring pro Steve Jones and renowned golf course architect, Gary Stephenson. Exclusive to the Teton Valley, the resort is the area’s only hotel located on a golf course. The course features five dedicated tee markers measuring 5,500-7,500 yards in length, playable by golfers of all skill levels. Golf holiday packages at Teton Springs are therefore perfect for all ability levels, whether you’re a scratch golfer, or simply enjoying the company of your peers. Hotel golf packages include play on both of these Nelson designed courses. This resort also specializes in mix and match golf and spa packages, meaning, if someone in your party isn’t a golfer, but a particular golf package is the most affordable option, a credit to the spa will be issued to the non-golfer. Headwaters Club offers private instruction for all levels, young and old, and the Pro Shop carries the latest apparel and equipment. Rental clubs are available and tournaments can be organized by the professional golf staff. The Headwaters Grille provides an intimate dining experience overlooking the first fairway of Teton Springs’ Headwaters Club golf course. Our chef’s creative menu selections, attentive servers, and comfortable atmosphere combine to assure your dining enjoyment. Specialty cocktails, wine, and light fare are available in the adjoining lounge.